As we head into the new year, experts are always trying to predict where the office supply industry is going. It's a weird business we're in as the same innovation that is necessary to stay competitive in any industry also makes it harder to survive in this one. The more technology grows, the more it becomes an essential part of every office. That means companies are printing less, which means they need less ink and toner, less paper, fewer presentation materials and even fewer staples and paper clips. And the industry also has to adjust to the increased role of online and mobile shopping. So with this shifting landscape in the industry, what were OfficeSupply.com's best-selling categories in 2014? Same as 2013- printer cartridges, copy paper, and binders. That's not to discount the industry-wide trends, which are supported by reliable research and, well, common sense. The lesson here is that the change is more gradual than seismic, and that just because businesses are printing less doesn't mean they've all gone paper-free overnight. 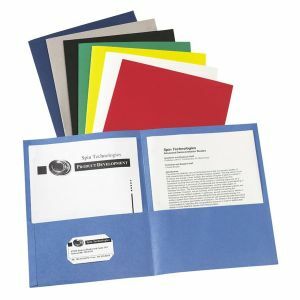 There is always a need for traditional office supplies, and for now there is plenty of demand for top categories like classification folders and notebooks. The trick is helping customers find what they want, offering it at a good price, and getting it to them quickly. That part of the equation has never really changed. We just want it easier, cheaper, and faster now, and the companies that keep up will succeed. In our list of top categories, one of the changes that is noticeable is the increased attention on cleaning and breakroom products; paper towels and bathroom tissue are both climbing up the charts. Businesses are starting to realize their source for copy paper can just as easily be their source for toilet paper, and there are plenty of benefits to getting it from the same place. Diversification can be seen all over the industry, with an increased selection in technology, safety gear, and craft items. Still, none of this changes our commitment to providing the classic workhorse items of the office, and there's no reason 2015 will be any different. We're a week away from Black Friday and the task of holiday shopping. For many, this means gearing up for the chaos of early morning sales (and for them, we have a fine selection of safety gear to wear to the occasion). For an increasing number of people (up to 47% in latest surveys, higher than any type of retail store), online shopping is the primary way to buy gifts. If you're doing your holiday shopping online, why wait until next week? The sales have already begun and there's no reason not to get started. Our holiday doorbusters are in full swing, with 30 items to make people of all ages happy, at a price to make your wallet even happier. 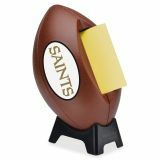 All of them are worth a look, but there are a few that should be big hits, including an NFL Post-ItDispenser for just $6.99. 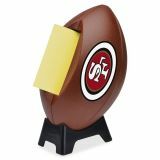 Other popular stocking stuffers will include a 4 GB flash drive for $4.99 and an LED flashlight for $5.99. Heck, order this cross stitch kit and you can make the stocking yourself! It's one of many crafting supplies now available, as is this jewelry tool kit. It won't fit in a stocking, but this mesh chair is both comfortable and functional, and priced at under $100. 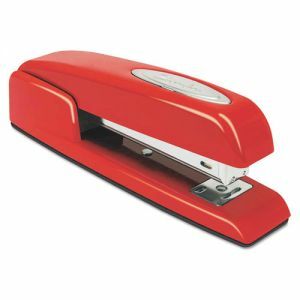 Movie fans around the office will also appreciate a red Swingline stapler. Finally, a present for the whole office will be an OfficePRO Keurig coffee machine and a set of K-Cups. The deals run through December, but are available now, so get your shopping started! Esselte is no stranger to the office supply world, best known for being the makers of popular filing supply brands Oxford and Pendaflex, in addition to several other brands around the world. At least they were; they sold several of their brands, including both Oxford and Pendaflex, last spring. This isn't a bad thing; those brands are doing just fine at their new home with Tops Products and Esselte can begin to focus on some of its lesser-known items. 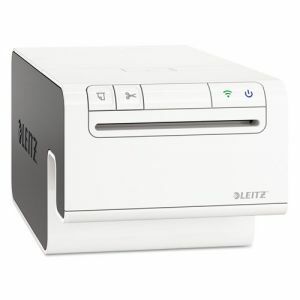 This includes Leitz, emerging from the shadows with a neat new toy that offers simplicity to a product that had never been confused for simple- the label printer. The Icon Smart Labeling System puts Leitz on the map. 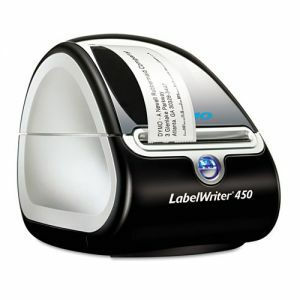 It's a wireless label printer that is both mobile and flexible. 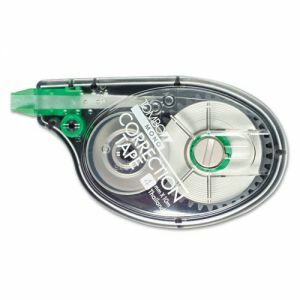 Cartridges are easy to load, snapping into place quickly without the need to spool or thread paper. They're also easy to unload, so you can swap one label size out for another in seconds. While labeling software is available for the PC or Mac, the real appeal is making a label on your iPhone or iPad and printing it instantly. A battery pack, available separately, can power the printer for up to four hours, making a truly wireless printing experience. As you begin planning your holiday shopping, Leitz has many other products worth considering, including staplers with interchangeable cartridges, iPhone and iPad cases with built-in stands, and mobile battery packs and charging stations. 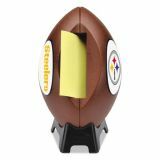 It's no secret that we're big football fans around here. We hope that everybody is representing their team of choice with a tape dispenser and Post-It Note holder. There's one other piece of team spirit that you may be interested in- how about an authentic jersey? 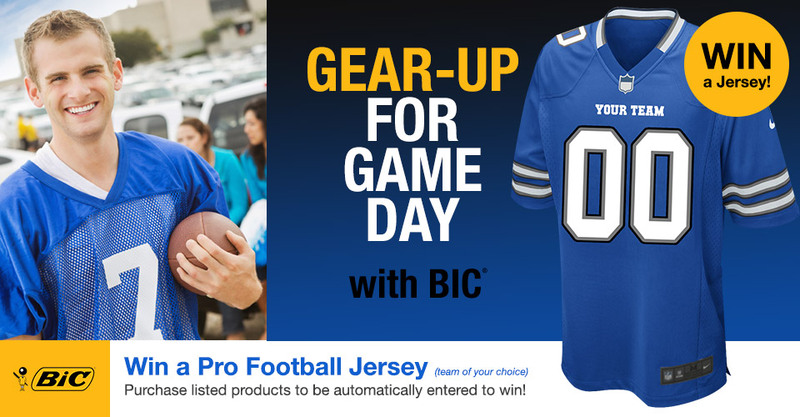 You've got the chance to win one thanks to Bic! All you need to do is order one of the markers on this page and you'll be entered to win automatically. The markers available are a selection of Bic's Great Erase dry erase markers, Mark-It permanent markers, and Intensity felt tip pens. 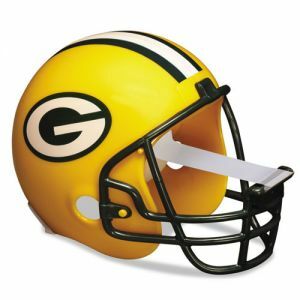 All are great products and worth checking out, so this is a great time to do that, and get in the running for a jersey of the team of your choice. The contest runs until October 31. The classic Sharpie marker has been around forever. Everybody knows, uses and loves Sharpies for basic purposes like labeling and creating signs, but the versatile markers can do much more. We've covered some creative uses in the past, and now we're celebrating all the different functions of the Sharpie- at least 50 ways to use one. Sharpie products are great for many work environments and can create fun and unique charts, sketches, drawings and artwork. Sharpies can be used everywhere from the office or the classroom to building sites or research facilities. 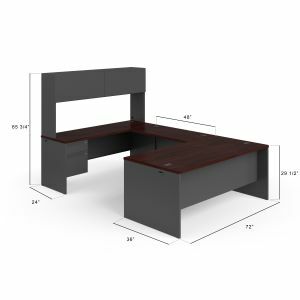 They can add creativity, organization and efficiency to any project. 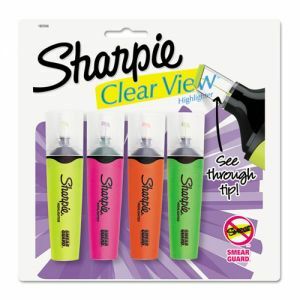 In addition to the popular marker, Sharpie is also available as highlighters, pens and liquid pencils, offering even more potential for even more projects. 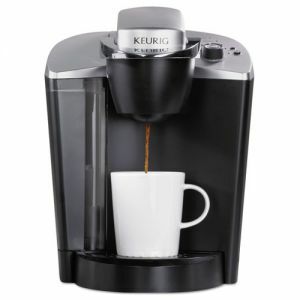 We supply Keurig products! If you aren't familiar with Keurig machines and wondering why the exclamation point is justified, they make brewing coffee and other hot drinks easy and instantaneous. Rather than messing with grounds, filters and waiting for those last few drips to fill the pot, all you need to do is insert a K-Cup capsule into the machine and push a button. The machine does the rest and brews a single cup of coffee in less than a minute. 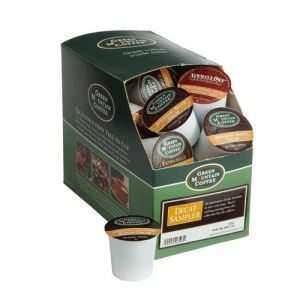 More importantly, the K-Cups themselves are now available. Check out this page for the vast variety of options. Some of the best coffee brands out there have K-Cups for sale, including Starbucks, Gloria Jean's, Caribou, and even signature blends from Wolfgang Puck. Choose from light roast, medium roast or dark roast along with a wide range of flavors. Even if you're not in the mood for coffee, Keurig machines will also brew K-Cups of tea, cider and hot chocolate. Log in and check out our full selection! We're getting ever closer to the start of back to school season. 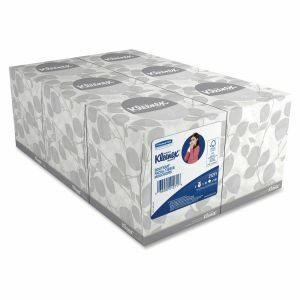 Ads are rolling out, supply lists are circulating and parents everywhere wonder how they always seem longer every year. With multiple children, checking off each item on a school supply list can be a real drain on the wallet. There is a solution, and it not only makes shopping for this year easier, but can ease the burden on future years as well. One of the keys to saving money on food purchases is to buy in bulk, which not only gets you more for a better value, but also reduces the number of times you'll need to go to the store. Why not apply that to school supplies as well? Even with children in different grades, many of the basics are the same. Buy multiples of folders, pens, pencils, highlighters, and markers, and you'll pay one low price to cover the needs of more than one student. Anything left over can be stored for mid-year replacements; this stuff will be at school and prone to being lost or worn down as the year goes on. Check out our back to school page for our deals on school supplies, now including a number of Value Pack options for you to check everything off this year's list, and perhaps have some stocked for next year as well. Outdoors, allergies are always on the mind of anyone who suffers from them. Allergens such as pollen and ragweed are everywhere outside, but the air indoors is equally bothersome. At home, pollutants such as pet dander, dust particles, and toxins and residue embedded in furniture and carpets pose major health risks. Even the air in the office can be contaminated by vapors from markers or toner, mold from air vents, or a number of germs and particles lurking in cubicle walls. Unregulated office air is considered one of the most dangerous environments we're exposed to. Air purifiers are the solution. Purifiers draw in air from the room and cycle it through a number of filters. 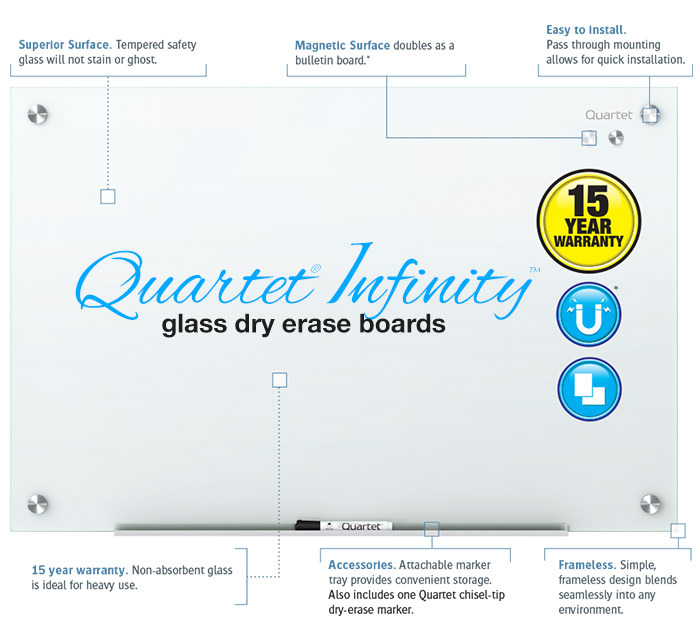 This eliminates unwanted odors, particles, germs, dust and many other allergens. 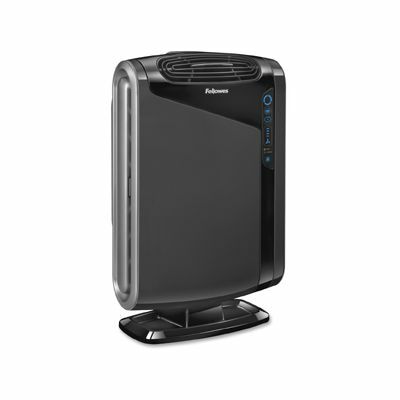 The new Fellowes AeraMax purifiers go a step further with a unique AeraSafe filter. This removes bacteria, mildew and fungi that can lead to odors and produce allergens. Released air also includes particles that remove additional pollutants from the air. 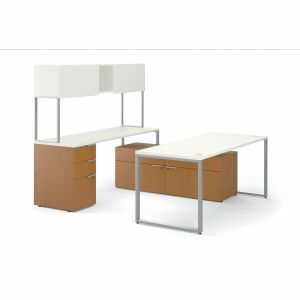 The Fellowes AeraMax is available in three sizes, each serving three different room sizes (90 square feet, 190 square feet, and 290 square feet). 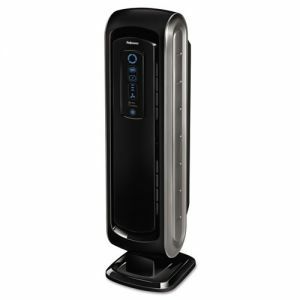 Ordering a purifier in one of the larger two sizes will net you a gift card of up to $25 for BP, Exxon Mobil, or Subway. We're nearing a happy time for students and teachers alike as the school year draws to a close. For students, it means a few months of downtime and warm weather. It's pretty easy to see why they're enthusiastic. We hope educators get to enjoy the same. But savvy teachers and school administrators also know that May and June offer some great opportunities to prepare for the next school year. Frugal educators may often find themselves with some money left in their budgets towards the end of the year. This is often a use-it-or-lose-it situation, and not using it may lead to the false impression that the budget is safe to be reduced the following year. So it's time to spend it on items next year's students can use. Because of this, May is one of the biggest months for school supply sales outside than August. So what are some good purchases to consider? To start, how is the room's dry erase board holding up? We've detailed the differences between various boards before, and a board that isn't equipped to handle the rigors a class puts on it may ghost, stain or even crack. 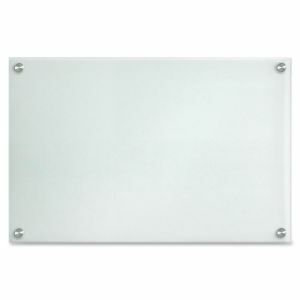 For boards that aren't cutting it, consider a porcelain replacement that is smoother, magnetic and eliminates these problems. 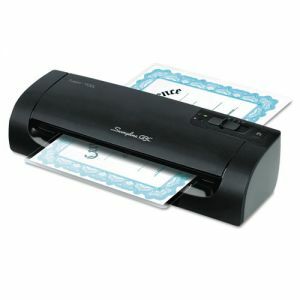 We recently discussed how useful laminators can be, and schools know that better than anybody. 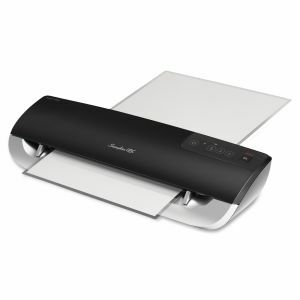 This is a good time to save on Scotch or Swingline thermal laminators, with prices of up to 50% off retail. Classrooms are also one of the last resting places for wood pencils, and the sharpening technology in them often reflects that. 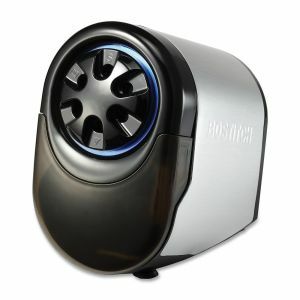 Many classrooms have an outdated pencil sharpener, so this is a great time for an upgrade. The Stanley Bostitch Quiet Sharp 8 is affordable and features an easily replaceable cutter. Best of all, it's designed to work with colored pencils, which most sharpeners tend to struggle with. Right now, if you order a Quiet Sharp 8 sharpener and use our coupon code, we'll throw in both a replacement cutter and a box of colored pencils free! As it stands now, incandescent light bulbs are dinosaurs. Long ago, we realized that they wasted too much energy and we found cost-efficient alternatives that conserve both money and electricity. For all but specialized purposes, those are gradually becoming extinct, and not a moment too soon. However, the popular alternative hasn't captured our hearts the way we'd expect. While the compact fluorescent bulb uses less energy and lasts longer, we're still hesitant to call it the better bulb. It's hard to love that awkward spiral shape. The light quality can be inconsistent from bulb to bulb, with some models suffering from a flicker that can be annoying even when your eyes don't register it. While developments have been made to improve the quality, we're simple creatures that prefer natural light, which incandescents have always done a better job replicating. Add to that the uncomfortable traces of mercury inside every CFL and the brief delay before they turn on, and there is something lacking in the technology. So while CFLs continue their valiant effort to earn our love, LED technology is swooping in and stand to become a viable new option. LEDs have been around for a while, but have always been resigned to specialty functions since individual bulbs are weaker and can't shine light in all directions. That's beginning to change, since the small bulbs can be combined into an array that can shine in all directions while using less energy and lasting much longer than even CFLs, which themselves can last eight times longer than incandescents. Best of all, LED lights don't flicker and the light quality already surpasses florescents. LED bulbs in products such as flashlights have been around for years, and standard light bulb equivalents are now available. It's also emerging in the office world with products like 3M's new task lights. 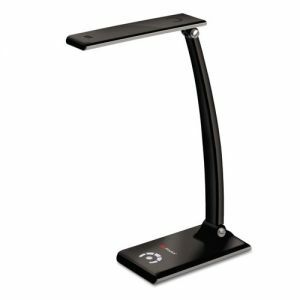 These use anywhere from 12 to 42 lights in their array (depending on the model), have an adjustable head and are polarized to reduce glare. In all but the most basic model, lights can be brightened and dimmed (another shortcoming of florescents). In a place like the desk where concentration is so important, why have anything but reliable, flexible and quality light shining it? Avery labels are a juggernaut in the office supply world. Everybody knows how easy it is to find a template for your labels, create your design and print it out on your inkjet or laser printer. Most of the time, these labels are for mailing or shipping. Sometimes they're multipurpose labels that differ only in function and size, not in shape. A few stragglers might even be creating custom labels for CDs and DVDs, assuming anyone still burns CDs and DVDs. Nothing wrong with taking care of the essentials, but it only scratches the surface of all the opportunities Avery presents for creating custom content. Small businesses looking to create custom printing for splashy presentations, promotional campaigns or giveaways may think they have two options- overpay a printing company or keep dreaming. 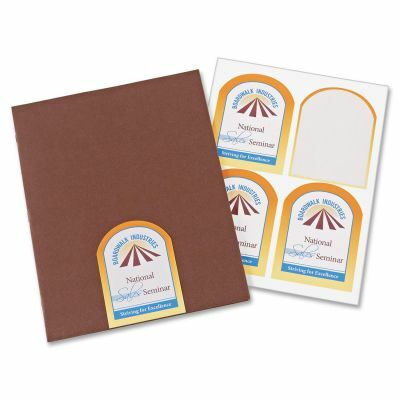 Avery has cards, labels and templates that take all of these and make them just as easy to create as a typical shipping label. With a unique texture and an arched side, think of how much a presentation would stand out. How about ovals on brochures? Square labels of any size are great for adding QR codes to materials. For giveaways, use these labels on bottles, bags or boxes, perhaps with custom tags attached. 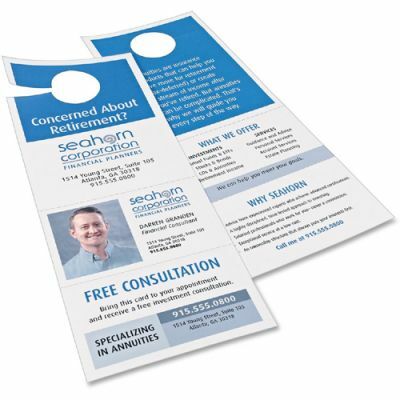 For reaching out to new customers, print your own door hangers that include tearaway cards that may include coupons or contact information. Avery also makes brochuretemplates with the same tearaway features. And again, all of these have downloadable templates and designs on avery.com. Look around at all the papers you've got on and overlooking your desk. How about the entire office, like something on a billboard or crucial information resigned to a Post-It note? Some of that's important, right? Shouldn't there be more care taken to preserve this information, at least to showcase it and announce that yes, this is significant? It's the sort of thing begging to be laminated. A laminator is one of those pieces of equipment around the office that everybody is aware of, but rarely gets used to its full potential. Part of the issue is that until you actually sit down and use a laminating machine, the concept of permanently encasing something in plastic seems expensive, time-consuming and complicated. None of these are true. 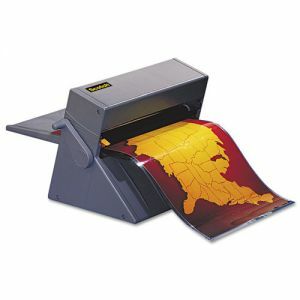 There are three types of laminators-hot, cool and roll. Hot and cool laminators have the same external mechanics, where you insert the item to be laminated into a special pre-sized pouch and insert the pouch into the machine. That's it. Hot laminators use a thermal adhesive and typically create the strongest bond, while cold laminators use a pressure-sensitive adhesive and are recommended when the contents being laminated might melt or bleed in high temperatures (such as ink). Some machines even allow you to choose between hot and cool lamination. The only choice to make is the thickness of your laminating pouch. Pouches are available in different thicknesses (measured in mil) and, depending on the maximum thickness your laminator will allow, you can choose how bendy or rigid you want the finished prouct to be. With roll laminators, you don't need pouches as the film is already loaded in the machines. With many of these, documents are loaded in and cranked manually, making it a little trickier to get a perfect, smooth lamination. The advantages are that, like the cool laminator, there's no risk of melting ink and since there are no pouches to worry about, you can laminate longer items like banners. Why Pay For Free Shipping? The annual fee for Amazon Prime has increased to $99 a year. 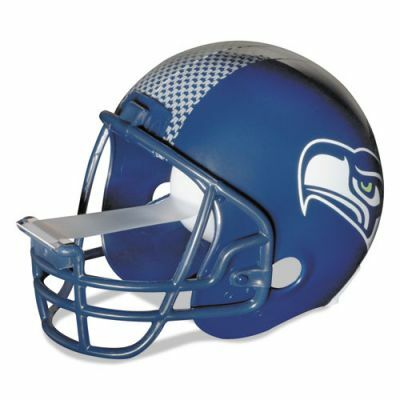 The program's main feature is offering free, fast shipping on a large number of the site's items. At first, it sounds like a fair product, selling some piece of mind and ensuring that you don't have to compare shipping options or expenses. At some point, however, there has to be a realization that paying a hundred dollars for free shipping is... a bit off. We generally like the philosophy that free shipping should be something that's, you know, free. That's why we keep it simple: unless you're buying something ginormous that requires a freight truck, if the order's over $45, it ships free. Below that, it's $8.99, still a far cry from $99. It's easy to get to the magic free shipping number. 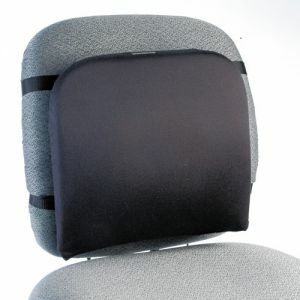 Look around our site and find a bunch of stuff that you need, or even just one thing that you really, really want... like a memory foam back rest for your office chair. Go On... Treat Yourself. You Deserve It. "But What About the Fast Part?" I hear you hypothetically asking. Note the shipping time on that back rest. That's right. Thanks to a network of distribution centers all over the country, there's no need to pay more for expedited shipping. A large majority of customers get their orders the next business day at no additional cost. Better yet, we offer free returns on select brands of dry erase boards, chairs and shredders, meaning that if you don't like what you get, the shipping back to us is also free. Crafters have stood by Tombow's adhesive tape since forever. That's not going to change any time soon. It flows smoothly, distributes adhesive evenly, and is so much easier to use than glue sticks or anything similar. One of its (few) limitations, however, is the strength of the adhesive. It works great attaching papers and photos to books or boards, and that's all it's normally asked to do. But when it comes time to work with heavier craft materials, the first inclination is to reach for the glue gun or something stronger. Wouldn't it be great if the convenience of Tombow dispensers could be used on projects requiring strong adhesive? With this new product, crafters can now easily incorporate award ribbons, small medals and other memories, adding dimension to any project. 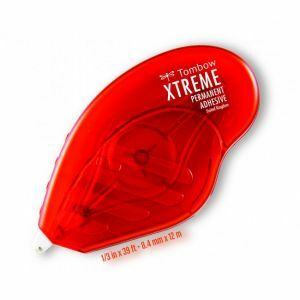 The Xtreme adhesive is permanent, archival, and acid-free. Most importantly- it's refillable. In addition, buy at least $75 worth of qualifying Tombow products (including both the Xtreme and original adhesive tape runners/refills) and Tombow will send you a gift card! Smartphones and tablet computers have quickly become a regular part of every facet of life. Many office supplies have responded in kind. New printer models are compatible with apps that allow wireless printing from a phone or tablet. The stylus that worked on older PDA devices but doesn't handle capacitive touchscreens has evolved into a legitimate alternative to poking and swiping with your finger- wonderful news in this weather. The latest office supply to hop on the smartphone bandwagon? Would you believe the regular old notepad? For all the conveniences smartphones and tablets provide, it still hasn't replaced the classic pen and paper. There are always times when it's easier to jot something down on a Post-It or brainstorm ideas by hand. But what happens when you want to refer to those ideas? 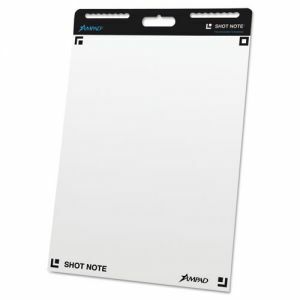 The Ampad Shot Note makes written words accessible again. Most people still prefer to take notes by hand, especially in the classroom or in business meetings. The problem is accessing the notes afterwards. 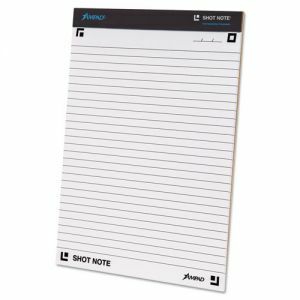 The Shot Note uses markings at each corner to frame the sheet for the phone or tablet to scan. This photo is loaded into an app on the phone and can be logged, searched or e-mailed any time. 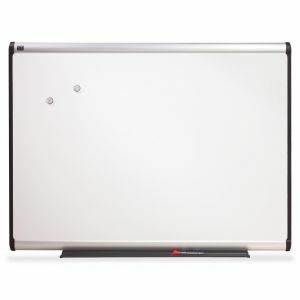 It's great for the office, perfect for the classroom and can even help around the house. The Ampad Shot Note is also available as an easel pad, sketch pad or wirebound notebook. For a limited time, buy $35 purchase of Shot Note products and get a $10 Starbucks card! There's an old notion of getting a visit from the tax man. As if today's income tax is some reverse Santa Claus taking a percentage of toys from boys and girls based on income level and number of dependents. We should be so lucky. There is no gentleman knocking on our doors and handing us a bill. It's up to each individual to recognize that it's that time of year. They have to do their own math to figure out what they owe (or pay someone to determine what to pay). Most importantly, everyone needs to have the pertinent information available in order to prepare their taxes. For businesses, that means they not only need to have their own finances in order, they need to provide W2 forms for their employees. The sooner they're sent, the happier the employee. For smaller businesses that don't outsource their payroll, Tops makes it easy to order and print their own essential tax forms. These W-2 forms are compatible with laser printers and can be printed directly from payroll software. 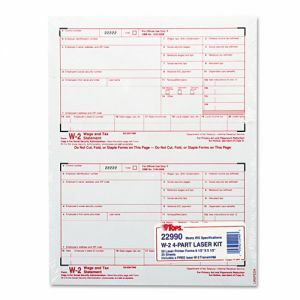 Tops also provides envelopes to ensure security, along with 1099 forms and matching envelopes. The real key to avoiding stress at tax time is to be prepared in advance. Throughout the year, keep all tax information in some sort of file. Track deductions throughout the year with a planner rather than try to go back through old receipts and figure out which purchases are applicable. This helps in the event of an audit as well, as that kind of documentation is hard to forge in hindsight when planners from the previous year go out of stock. If you're filling out the forms by hand, you'll also want a calculator, a reliable pen with anti-alteration features, and, let's not kid ourselves, correction tape. Finally, with so much sensitive information out in the open, some of it may need to go away when the filing's done. Households and businesses alike will want to make sure their shredder is up for the task. Last time, we tackled the task of simplifying the payroll process, making sure employees are credited for the exact number of hours they've worked and that someone doesn't have to spend all day adding those hours up. Now we come to the more human side of HR, where we look at identifying personnel, making it easy to tell if somebody isn't where they're supposed to be. Whenever personnel are expected to wear identification, the first thing to determine is what kind they need. "Badges" might only be part of the answer. Simple adhesive "Hello My Name Is" style badges might work for one-day affairs like banquets and luncheons, but won't work for more than a day and are inappropriate for events requiring more security. PVC cards and badges on card stock are far better, but make sure to buy the right holders (mind the size, orientation and hole position). 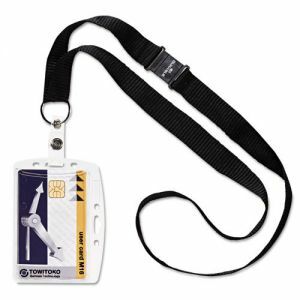 Do you also want durable lanyards, less obtrusive (but also less visible) card reels, or cheaper neck cords that can be purchased with the holders? Badges for any customer-facing position carries its own set of challenges. Those not only need to be clear and professional, but with a degree of comfort and class that goes beyond holders and lanyards. Before you head to the print shop, consider DIY options that let you print off labels on your own computer and embed them inside sleek magnetic badges at a fraction of the cost. Printing for shorter events like conferences or conventions poses its own set of challenges. When badges need to be printed quickly, consider a Dymo label printer to generate names to be applied to premade badges quickly. Alternatively, visitors to a company can be given access badges that void themselves after a day, preventing the badge from being reused inappropriately.